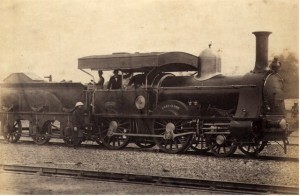 Description: Locomotive Lord Clyde – One of Symington Bailie’s Engines. From an important group of albumenized salted paper prints of the East India Railway Company engineers and workers. 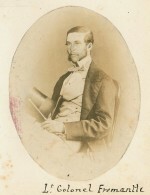 Taken shortly after the Indian Mutiny of 1857. 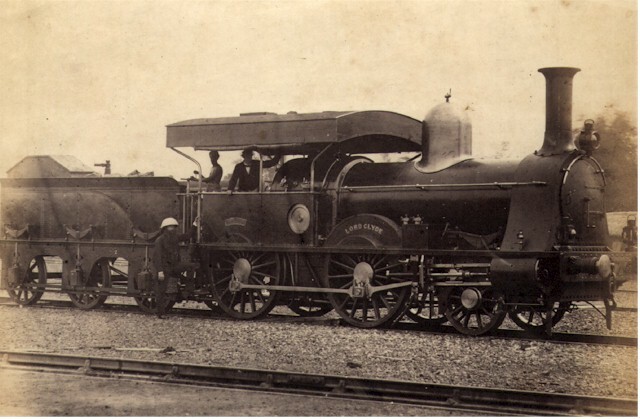 The East India Line opened to rail traffic in August 1854 when the first train steamed out of Howrah Station (Calcutta) destined for Hoogly 24 miles distant. Tonality: fair, heavy edge fading.